Berths can be two singles or converted to one double. Very low hours boat (330) and unusually for a boat of this size installed with a safe diesel engine. Petrol engines can be potentially dangerous with explosive fumes accumulating in the bilges. Now is the time to seize the opportunity. This boat is already G registered and meets size and speed criteria for small boat marinas. 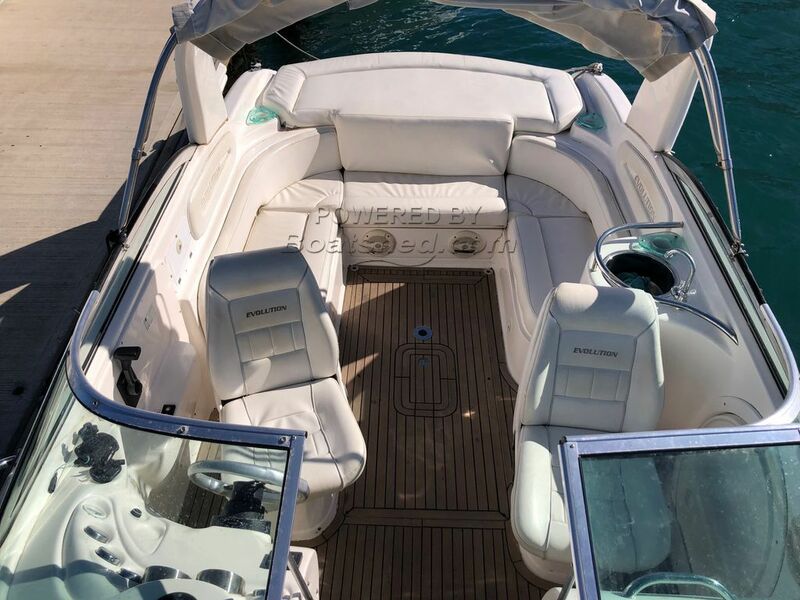 This Evolution 265 Cabin has been personally photographed and viewed by John & Lynda of Boatshed Gibraltar. Click here for contact details.